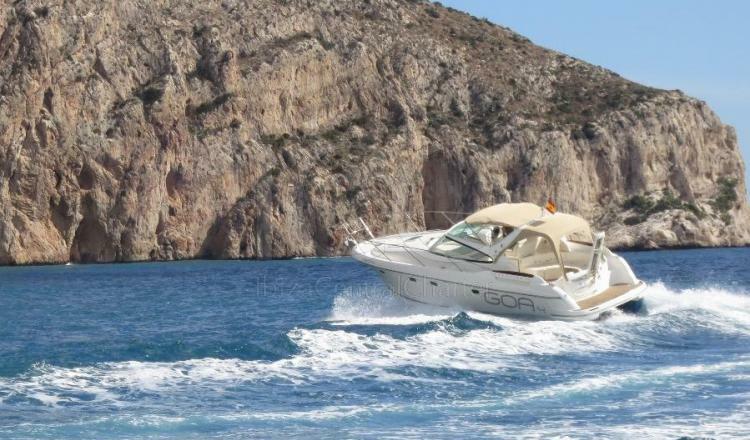 It is an ideal boat to know the island in a very short time, to enjoy the wonderful sunsets, or to enjoy the sunrises in the crystal clear waters of the Balearic Islands. 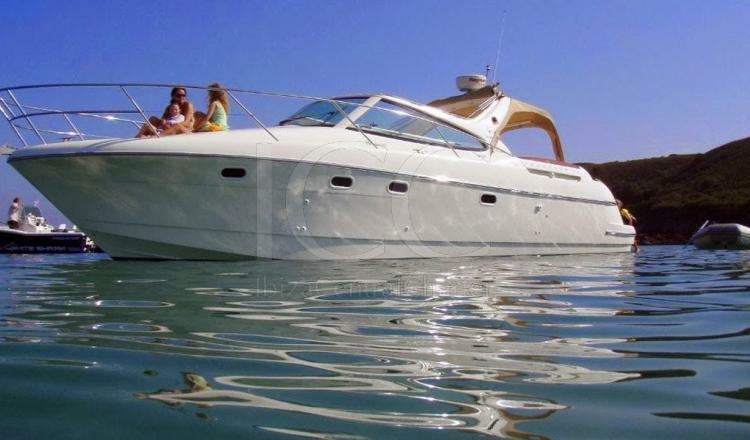 The Jeanneau Prestige 34 is a motorboat of 10 meters in length with enough capacity for a group of up to 10 people to enjoy a day of charter knowing the islands of Ibiza and Formentera from another perspective. 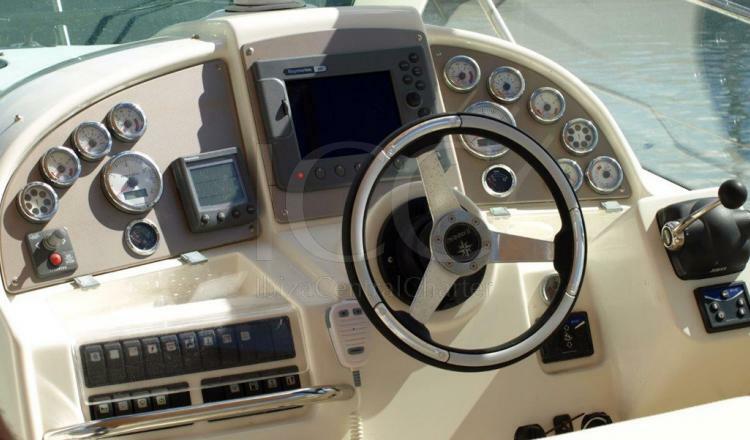 The Prestige 34 is a very comfortable and versatile boat. 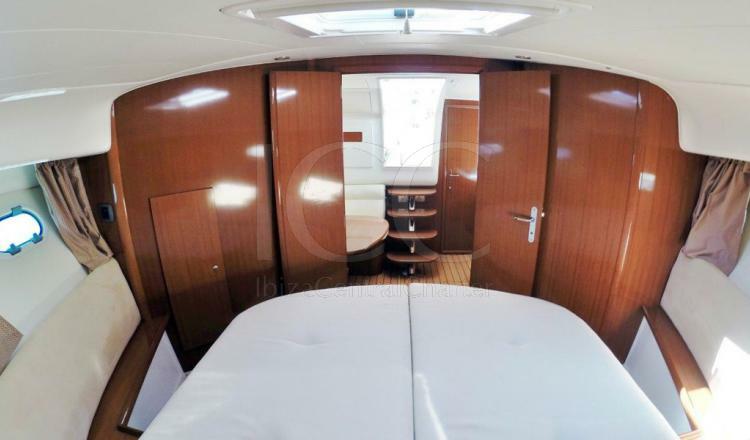 It has a large outdoor space with the cockpit covered in teak wood that increases safety on board as well as the beauty of the boat. 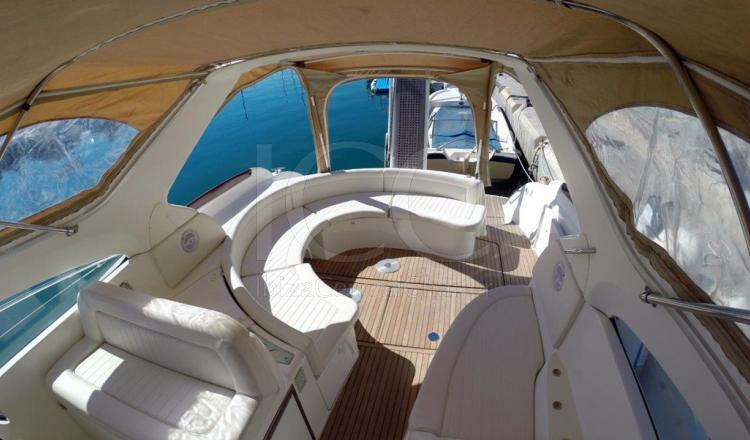 In the area of ​​pora has a large solarium ideal for relaxing to sunbathe and a semicircular shaped sofa accompanied by a wet bar aft where you can enjoy the wonderful sunsets while you regain strength with a snack. 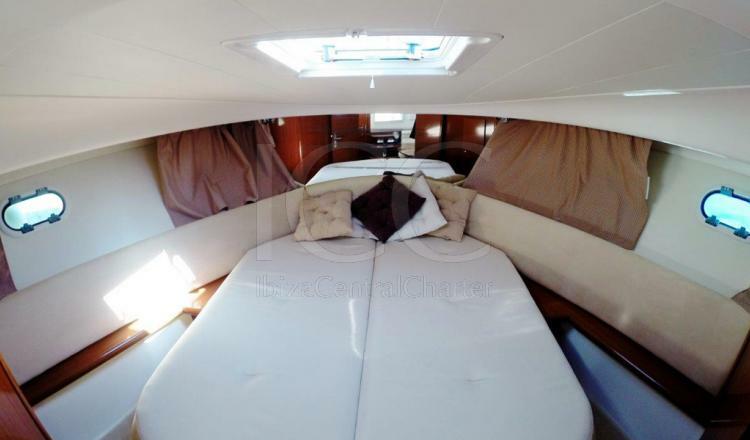 It offers two double cabins and a toilet for 4 people to spend the night. 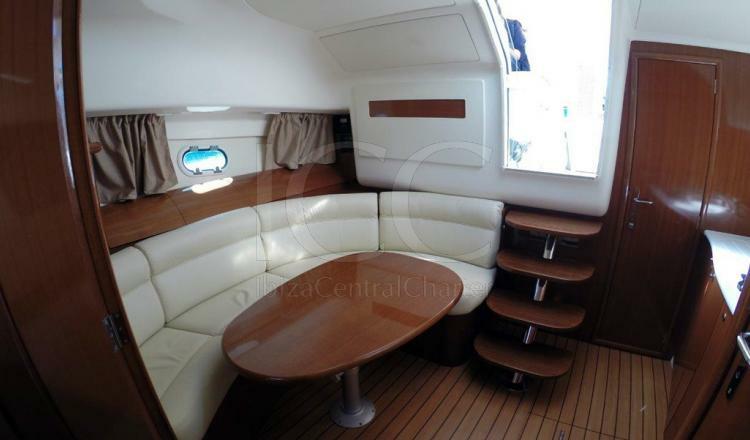 In the living room there is a comfortable sofa with dining table next to a kitchen with the necessary equipment to enjoy lunch and dinner on board. 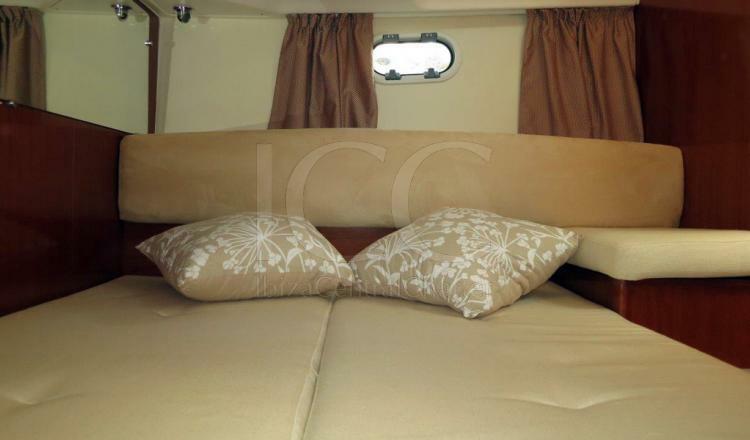 The entire interior has air conditioning ideal for the hottest days of summer. 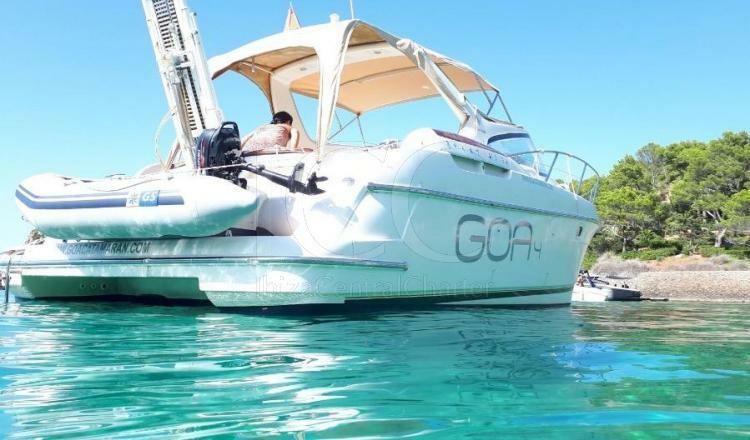 It has the advantage of consuming less than other motor boats of similar length, for carrying two diesel engines of only 260 hp, but which however facilitate a top speed of 35 knots and cruise of 25 knots, thanks to its hull in V deep that seem to give you complicity with the sea. 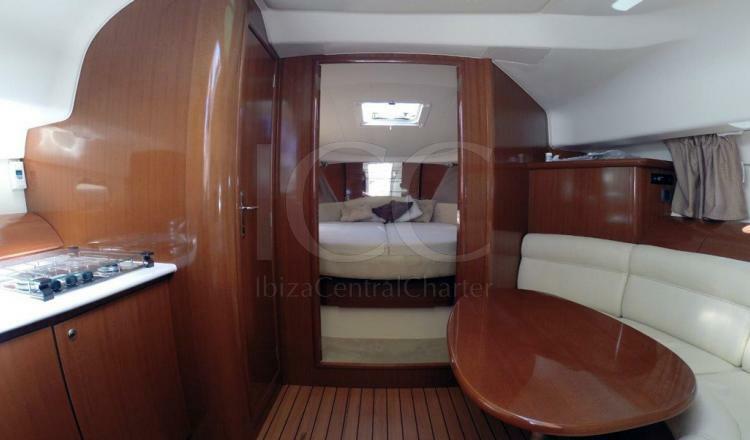 - Skipper: 150€/day or 1260€/week. 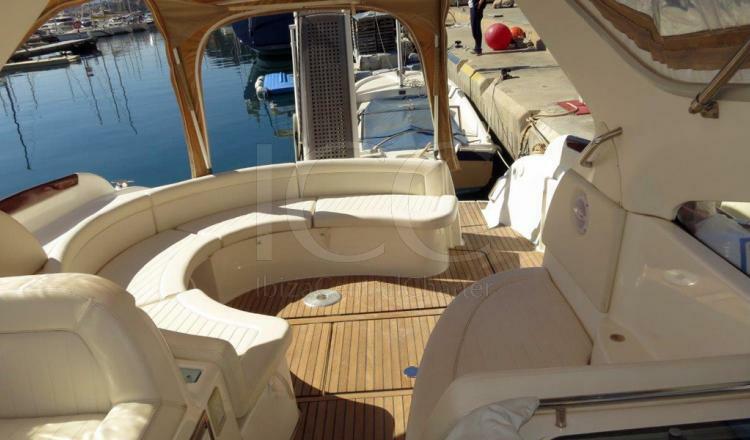 - Rib with outboard motor: 300€/week or 90€/days.